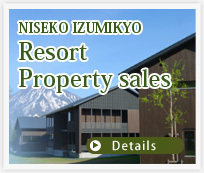 Located in the Kabayama area just a minute or so out of central Hirafu by car. This spacious house has a kitchen-dining area , a living room and bathroom facilities on the ground floor. On the upper floor the property can sleep 6 guests using beds. In winter, the Hirafu and Hanazono bus shuttles do not stop around this property so using your own vehicle is recommended to enjoy a stay here.